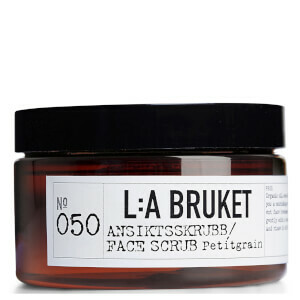 Soften and refine your complexion with the L:A BRUKET No. 050 Face Scrub, an exfoliating salt and oil facial treatment that gently polishes and hydrates skin. Infused with nourishing Sweet Almond Oil and the scent of Petitgrain, the scrub delicately sloughs away dead skin cells to brighten and soften skin, while its protective and astringent properties help to refine, balance and refresh your skin. 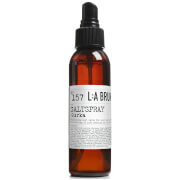 After use, the complexion feels replenished, soft and calm.